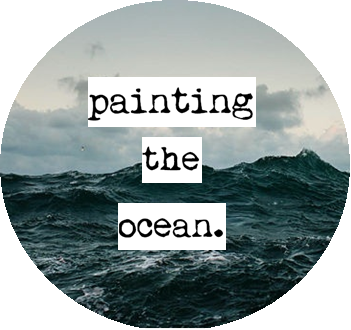 Painting The Ocean: right now + how its not going to be forever. right now + how its not going to be forever. This feeling has been building up for a long time. I've been wearing it under my clothes for almost a year. Sometimes it has spilled its aching grey pool but mostly I've promised to keep it hidden, it's fine, it will go after your exams. It hasn't gone. It's consumed me. Mental illnesses are horrible, intoxicating, frightening things that we do not hear enough about. Not properly. Maybe in that one assembly in year eight when you couldn't understand how on earth someone could feel sad everyday, or that time you heard your friends whisper it to each other about a neighbour a couple of years later, hushed because this feeling is something strange, and dangerous. Neither can I. Right now, I cannot imagine finding the girl I've carried around for the last 18 years again. She's too buried under the weight of this aching grey pool - a hungry pool that feeds on light. And that makes me more sad than I have ever felt. Feelings, again. Soon, or late, (but either way it will), this feeling will lessen. 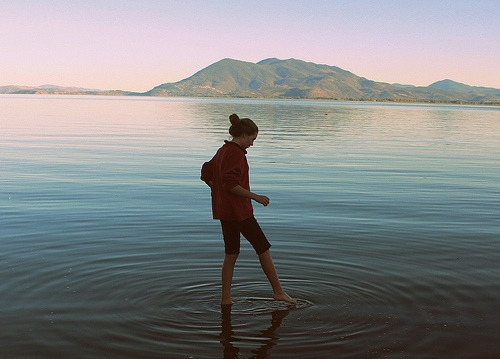 I'll want to laugh again, I'll want to explore again and I'll be holding hands with myself once again. I love this so much, beautifully written and replicates my thoughts perfectly–I had the exact same "it will go after exams" and in all honesty, its worsened–maybe because there is less focus and drive, more space for the thoughts to consume?